The history of the Singapore Armed Forces began in 1854, when the Singapore Volunteer Rifle Corps was established. It was disbanded in 1887 and revived in 1888 as the Singapore Volunteer Artillery. In 1901, it was renamed to the Singapore Volunteer Corps. In 1922, the Corps was absorbed into the Straits Settlements Volunteer Force (SSVF). In 1954, the SSVF was disbanded, and the Singapore Volunteer Corps became part of the Singapore Military Forces. 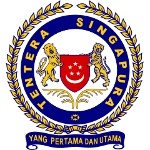 When Singapore became an independent state in 1965, its government passed the People's Defense Force Act, establishing the Singapore Armed Forces (SAF). Singapore Armed Forces Day was first celebrated in 1969 to honor the country's servicemen and servicewomen. It has been observed annually ever since and is typically referred to as SAF Day. The holiday is celebrated with a grand military parade presided over by the Minister of Defense, military displays and exhibitions, and other relevant events and activities. On this day, members of Singapore's military reaffirm their loyalty and commitment to the SAF and nation.